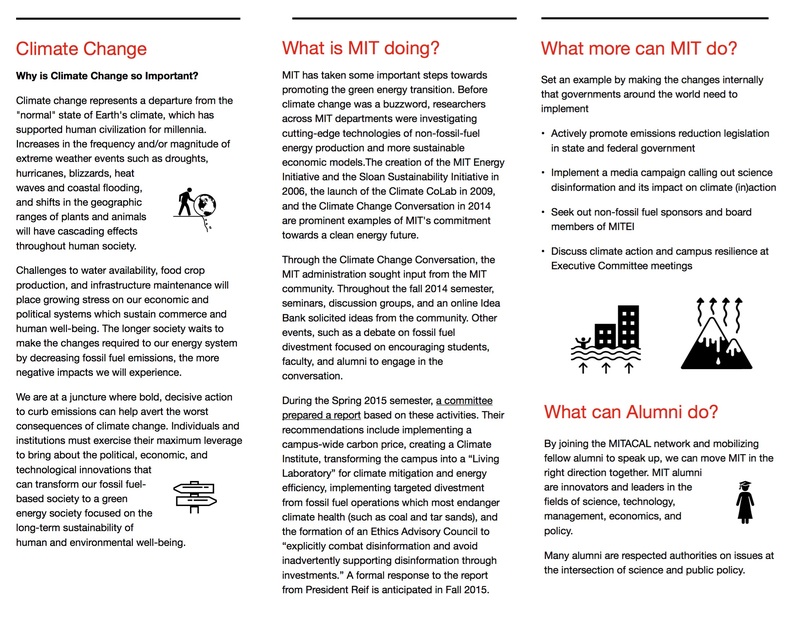 A number of MITACAL members attended the MIT Alumni Leadership Conference to raise awareness of climate change issues for the Institute. 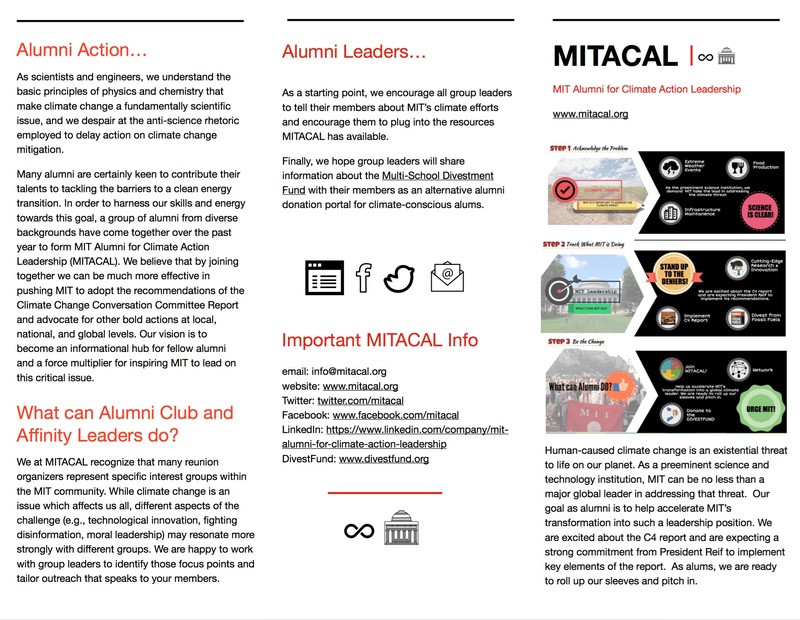 MITACAL members provided the following information regarding the alumni efforts to raise climate change awareness. A full resolution version of the handout can be found here.